Detailed information about Hotel Polonia Palace on PensionHotel. You will find the hotel description, prices, location, number of beds, available services, attractions. The hotel can be booked directly through the contacts or use the booking form. 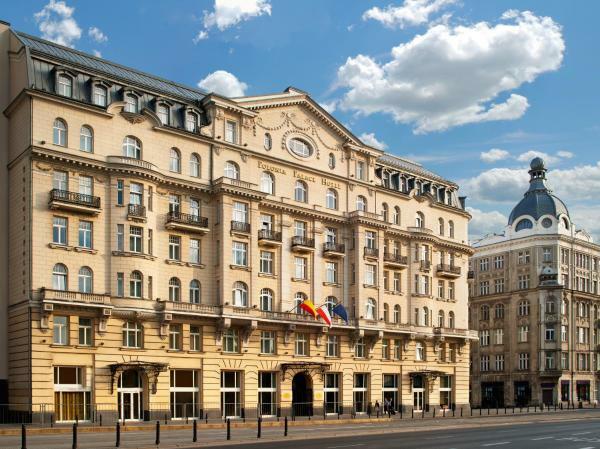 Before booking see availability Hotel Polonia Palace. 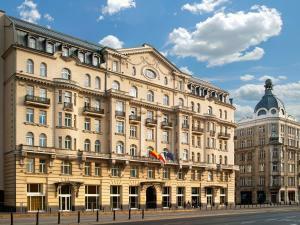 This 4-star award-winning hotel is centrally situated, just opposite the Palace of Culture and Science. Polonia Palace Hotel features spacious air-conditioned rooms with a minibar and heated bathroom flooring. Free WiFi access is available. All soundproofed and stylishly decorated rooms at the Palace are fitted with a safety deposit box and satellite TV. Luxurious bathrooms feature a hairdryer, a bathtub and free toiletries. 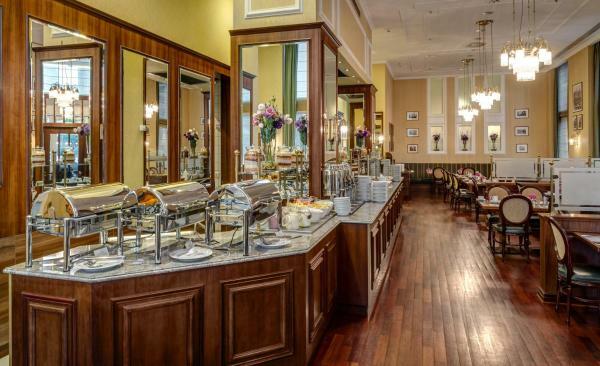 The hotel’s Strauss Restaurant serves European and Polish cuisine. Guests can relax at the Bojangles Bar, which offers drinks, live piano music and televised sports. Front desk staff is available 24 hours a day and can arrange laundry and ironing services. Guests can enjoy a free access to the fitness centre and a sauna. Massage services are available. 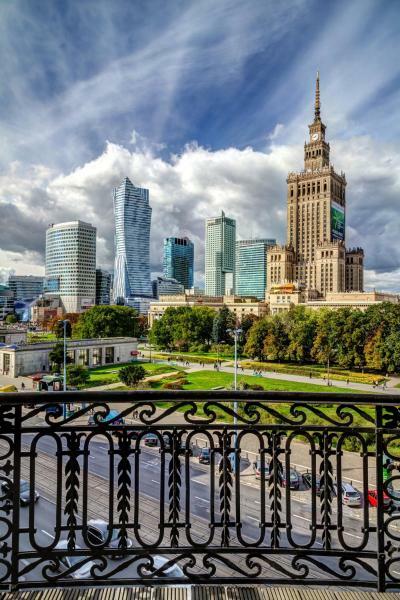 Polonia Palace Hotel is situated within just 350 metres from Warszawa Centralna Railway Station and the Złote Tarasy Shopping Centre. Warsaw’s Old Town is just 2 km away. If you wish to receive a VAT invoice, please provide invoice details during booking through the Special Request box. Please specify the total number of guests and children when booking family rooms. You can note this in the Special Requests box. In case of booking of over 5 rooms different policies and charges may apply. Please note that the price for an extra bed does not include breakfast.